I have never been a fan of the crowds and traffic congestion in and around Pettah, Colombo, so have mostly avoided it, until and unless I have to go there for a specific purpose such as catching an inter-city train or bus. So, if you are like me, someone who avoids congested routes but still interested in seeing some of the historical sites within Pettah and at its outer edges, I would recommend the following walking route on a weekend morning or late afternoon. Weekends are relatively quieter in Pettah than weekdays. The best place to start a walk through Pettah is at the Khan clock tower, at one end of Colombo 11. The clock tower was built by the Khan family of Bombay in 1923 for the people of Colombo. Walking around the clock tower, take the Main Street (which was known as the King’s Street during the Dutch colonial period). The Main Street is packed with shops selling clothing and can be a good bargain for those looking to buy sarees and kurta tops. I suggest a mini detour, via 1st cross street, to visit the Dutch museum on Prince Street. The Dutch museum used to be the Dutch Governor’s residence in the country. It does not have much in the way of artifacts to exhibit or stories about the lives of its former residents, though the building in itself is quite interesting. It is a pity that the Dutch museum does not reach up to its potential and that it is in a dilapidated condition now. I would very much like to see the Dutch Burgher Union, for example, take a hand in making it a more interactive type of museum. After your visit to the Dutch museum, return to Main Street via 2nd Cross street and continue your walk. Look to your left for the beautiful red mosque. The Jami Ul-Alfar mosque, more commonly known as the red mosque, was built by the Muslim community in Pettah in 1909. Continuing on the main street, look to your right when you reach the intersection of the 4th Cross street. In the midst of all the hustle and bustle, you will see an old bell tower. The bell is supposedly from an old Portuguese church from the 16th century. The Dutch had it installed at the Kayman’s gate bell tower, at the foot of Wolvendaal hill. Continue along Main Street and you will find the old town hall and market on your right. The town hall was built in the 19th century during the British colonial period. One can ask to see inside the old town hall. From the old town hall, continue on Sea Street for a very short distance before turning onto Sir Ratnajothi Saravanamuttu Mawatha. Continue walking until you reach Wolvendaal church or the Dutch Reformed Church, which is actually within the Colombo 13 zone (Kotahena). The church is the 2nd oldest church built by the Dutch in Sri Lanka, the oldest one is at the Galle fort. The building of the church was initiated in 1749 by the Dutch United East India Company, Vereenigde Oost-Indische Compagnie (VOC). The doorway to the church still has the same old lock and the church has a lot of interesting tombstones within its premises. There is a small inner room with a gallery of old paintings and photos that are open to visitors and church society members are generally happy to answer your questions provided that they are not preparing for services. After exploring the Dutch Reformed church/ Wolvendaal church, walk down Vivekananda hill until you reach K.B.Christie Perera Mawatha. Walk a little to your left and continue along Jampettah Lane. The front entrance of Ponnambala Vaneswara temple is on Jampettah lane. This Hindu temple for Shiva is an interesting temple with an interior built entirely from black granite, giving it the feel of an ancient South Indian stone temple. Originally built in 1856 by Ponnambalam Mudliyar, it was rebuilt in granite by his son, Sir Ponnambalam Ramanathan. The best times for visiting this temple is before 11 am and after 4 pm. Exit the temple, via its back entrance onto Shrimath Ramanathan Mawatha and walk towards the church that you see on your left hand. St. Anthony’s church is considered a powerful church where people of all religious faith visit and make fervent prayers. During the Dutch colonial period when Catholicism was banned from the island and priests carried out sermons from hiding places, Fr. Antonio supposedly masked himself as a merchant. The Dutch subsequently had found out and came in search of him. He found refuge with a fishing community who asked him to do something about the sea erosion. According to the church website, a miracle happened after Fr. Antonio planted a cross and prayed at the beach and the sea receded. The fishing folk were converted and the Dutch authorities gained some respect for the priest and allocated some land for him to carry out his sermons. The current church is in the same premises where Fr. Antonio started openly having his sermons. He brought an image of Anthony of Padua and installed it in the church. When he passed away, Fr. Antonio was buried within the church. I am sure you would want to have some refreshments after all this walking and exploration. I would recommend trying out Sri Suryas, a vegetarian restaurant right next to Kathiresan kovil on Sea Street and within a short walking distance from St Anthony’s. 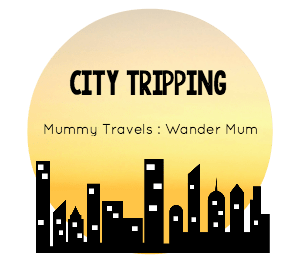 Do try out their delicious Chennai style filter coffee and tasty vadai, which is a lovely way to end your walking tour of Pettah and the edges of Kotahena or a refreshing stop before you explore the streets of Pettah more. I had never considered visiting Pettah but the mosque looks beautiful. As a Colombo resident, I had not considered exploring Pettah until this year 🙂 The mosque is beautiful. Thanks, Elizabeth. The website of the mosque claims that the designer of the red mosque drew his design inspiration from a pomegranate. I am hoping to revisit soon, and this time plan to go to the other side of the mosque and perhaps inside as it is said to be even more beautiful. Yes, Tanja, it is sad that some of the historic buildings have been neglected, especially the Dutch museum and the old town hall. They hardly have any visitors but I don’t think they can expect to have more, if they don’t do something about their maintenance and making it more interactive for the visitor. unfortunately these things cost a lot so I guess like in my country too, sometimes historical buildings aren’t high on government budget list. I agree government budget for maintaining historical buildings is not high so they prioritize a few over the rest which is reasonable. However, I think they could well involve the private sector or special interest groups to maintain some places, like the Dutch museum, that they don’t have the budget for. Thank you, Katy. The mix of architecture is particularly in contrast to the backdrop of congested streets, packed with shops and pavement vendors. You are welcome, Lara, and thank you for stopping by! That mosque is absolutely stunning. I’m a big fan of the elaborate stonework you can see on the temple too – so similar to the beautiful ones I saw in southern India. Love the sound of this walking tour, Ahila. Thanks, Clare. Which parts of south India did you visit? I travelled all around the south, Ahila, while I was backpacking around India many years ago. I particularly loved the temple at Madurai. That’s lovely. I haven’t been to Madurai yet though the temple there is very famous as a pilgrimage spot and known for its architecture. Very beautiful mosque, with such a detailed stonework. I’d love to visit Pettah if I ever make it to that part of the world. For now it just seems out of reach for me, but I’ll keep dreaming. Hope you get to visit Sri Lanka some day soon, Anda!